Meador’s $5 million vision calls for leasing 576 from the Nashville Metro government and moving the engine to the Tennessee Central Railway Museum on the Nashville & Eastern Railroad. The restored J3 would lead excursions over the 108-mile N&E — the former Tennessee Central Railway east of Nashville — using 14 passenger cars from the museum's collection. Nashville, Chattanooga & St. Louis 4-8-4 "Dixie" No. 576 shown in steam in the 1940s or early 1950s. A new team is set to work with local leaders to restore the World War II-era locomotive to operating condition. Meador led the Southern Nos. 630 and 4501 programs for Norfolk Southern’s 21st Century Steam at the Tennessee Valley Railroad Museum in Chattanooga. 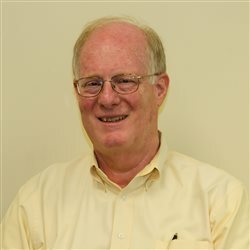 He’s assembled a team that also includes NC&StL Preservation Society Secretary-Treasurer David Ellenburg as soceity treasurer, and Trains Editor Jim Wrinn and steam locomotive expert Gary Bensman on the board of directors. The preservation society makes its pitch May 3 to the Metropolitan Board of Parks and Recreation. So far, the reception has been positive. 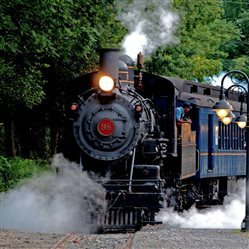 “The opportunity to ride a steam train out of Riverfront Park could be a much richer experience than the current static observation available in Centennial Park and is worthy of consideration,” Parks Directory Tommy Lynch says in a prepared statement issued ahead of the board meeting. If the parks board goes along, the proposal will go to the Metropolitan Council. If the council approves, 576 could be moved this autumn to the museum. The engine would undergo a four-to-five-year rebuild, with the first trips under steam in the fall of 2020 or spring of 2021. The preservation society will seek to raise $3 million for the J3’s refurbishment and an additional $2 million to build a visitors center. So far, the group has gotten $200,000 in pledges; donations can be made online. “We’re not going to touch this project unless we have at least $500,000 in initial capital, which will basically pay for the move to [the museum] … and maintain $100,000 escrow so that in the worst-case scenario we can put the locomotive back together in better condition than when we found it,” Meador says. The J3 class – not a “Northern” but a “Dixie” to the NC&StL — had its immediate predecessor in the J2, a 1930 design by NC Superintendent of Machinery Clarence M. Darden. A dual-purpose engine for freight and passenger service, the Alco-built J2 had 25-by-30-inch cylinders and 70-inch drivers, weighed 381,000 pounds and exerted 57,000 pounds tractive effort at 250 pounds steam pressure. It was smaller than a typical 4-8-4 because of the NC’s tight clearances, lightweight bridges and 90-foot turntables. Its total wheelbase of 82 feet, 7 inches compared with 95 feet 4 inches for a Norfolk & Western “J” class like 611. Yet Darden crammed a lot of innovation into a small package. NC& St.L. No. 576 as it now appears, underneath a shed in a Nashville, Tenn., park. Richard E. Prince, in his book “NC&StL: History and Steam Locomotives,” says the J2 was noteworthy for its one-piece steel bed frame cast integral with the cylinders, and its free-lateral “floating” driving boxes on the main and lead driving axles. Road crews called the engines “Gliders” for the way they seemed to glide in and out of curves. Darden also specified a Type E superheater, Worthington 4-S2 feedwater heater, Standard BK stoker, Bradford front-end throttle and four-axle Vanderbilt tenders. Darden and the NC went back to Schenectady in 1942 for an updated, semi-streamlined version of the J2. The new J3 incorporated the innovations of the prior class and added Timken roller bearings on all axles of the locomotive and tender, Boxpok-type drivers and six-axle conventional tenders. Cylinder size, driver size, tractive effort and boiler pressure were identical to the J2, but the war engine was heavier — 400,500 pounds — and longer, with a total wheelbase of 86 feet 3 5/8 inches. Though it could still fit onto a 90-foot turntable, its overall length of slightly less than 100 feet made that dicey. The NC replaced its turntables with 110-footers in Nashville, Chattanooga and Atlanta, the new engine’s initial home territory. No. 576, Alco builder number 69786, cost $166,500 new, was placed in service Aug. 18, 1942, ran 725,000 miles in freight and passenger duty (losing its nose cone and skirt in 1947) and was retired Sept. 2, 1952. According to the October 1953 issue of the NC&StL Bulletin employee magazine, 576 could handle a 15-car passenger train or 50-car freight train in the mountains. Her 7-by-11-foot firebox required 1 ½ tons of coal to build a fire. Going all-out, she consumed 4 tons of coal and 7,000 gallons of water an hour. After the war, the NC was among the first Southern roads to fully dieselize; the end of steam came in January 1953. All the J3s, numbered 570 through 589, were retired in 1951-52, and all were scrapped — except for one. No. 576, saved for the enjoyment of future generations of children, has been in Centennial Park since Sept. 30, 1953.